On one Sunday morning in late November last year (tho' technically it was just a couple months ago), my husband took us and his parents to Batu Gajah Perak (which was about 4 hours' drive from Seremban) because he had to attend a company event there. 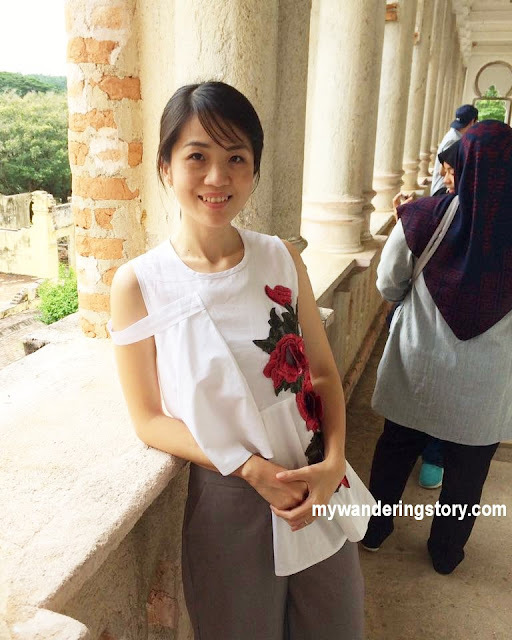 Before we went there, my husband had planned to bring us to see one of Batu Gajah's landmarks, Kellie's Castle, after he's done attending the event. I was pretty excited to learn that he'd bring us out to visit a fancy schmancy castle during this short business trip until he mentioned that the castle is believed to be haunted. I was like, "OKAY! Let's not go there. Let's visit somewhere else." 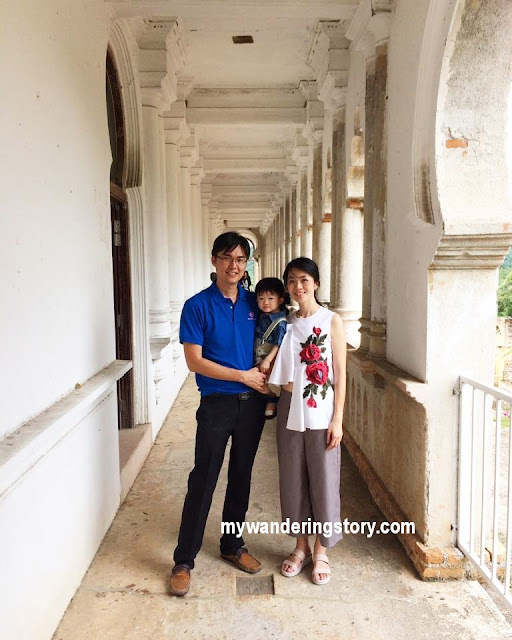 He rebutted that this place is a very famous tourist attraction in the area and we must check it out since we would be driving all the way to Batu Gajah anyway. I didn't think too much on the itinerary for that Perak trip since it was going to be a day trip and half of the trip was going to be spent attending my husband's event anyway. Fast forward to the day when we woke up extra early on a Sunday to go to Perak; after we attended the said event, my husband drove to Kellie's Castle which apparently was not very far from his event's venue. From afar, this century-old huge mansion stands tall and majestic against time with vast green gardens surround it. Simply mesmerising. There were lots of tourists visiting this castle so yep, it was not as scary as I thought it would be. The parking car fee was RM 2 per vehicle and visitors need to get their entrance ticket in the counter. The ticket counter would request visitors to produce their ICs to get the local price, otherwise they would need to pay double price, like mine. 26 November 2017: Can you spot Naomi? It was a sweltering hot day when we got there. Naomi whined and kept on asking for a unicorn ice cream aka Rainbow Paddle Pop when she saw ice creams were sold in the ticket counter. As such, she was not allowed to enter the castle before she finished eating her ice cream. Little Pony needed to recharge her battery. Before we could come closer to the castle, we had to take a walk to the Castle's large garden (but unfortunately, not so well manicured - guess it's been a while ago since the management mowed the lawn) and cross a bridge over a stream. Crossing the bridge to get to the Castle. I should have done more Googling about Kellie's Castle before I came. Happy girl ready to explore the Castle's surroundings. Because I was quite surprised to learn that we were actually not visiting a proper castle (okay lah obviously I could not expect sightseeing places such as Schloss Hellbrunn or Versailles in Batu Gajah) but I did expect checking out a well maintained old Mansion like Tjong A Fie's Mansion to say the least. My expectation was kind of crushed when I stepped into the inside of the castle as Kellie's Castle is, in fact, an unfinished, ruined mansion. Naomi was busy checking out the Castle's ruins. You could find the long history of Kellie's Castle in the internet but a bit of story of this castle is that this Castle is built by a Scottish planter named William-Kellie Smith who tragically died during his short trip to Lisbon in 1926 hence the halt of his mansion's building. Already the castle's development was not completed, WWII destroyed some parts of the castle. My husband, Naomi and FIL went to the top part of the castle but MIL and I didn't follow them because it's quite difficult to climb a flight of spiral stairs with a baby. Not to mention, it was suddenly drizzling when we were there. Hello from the three of us again. We didn't take many photos of the inside of the castle but we did take quite a bit of nice pictures with the castle and its green lush garden as the background. Albeit unfinished, this castle, with its Scottish Indian architecture, stands really beautifully, perfect for outdoor and pre-wedding photo shoots. Final thought - I don't think I want to visit this place again because haunted old places like this make my hair rises. Say no more, I am an unadventurous scaredy cat. 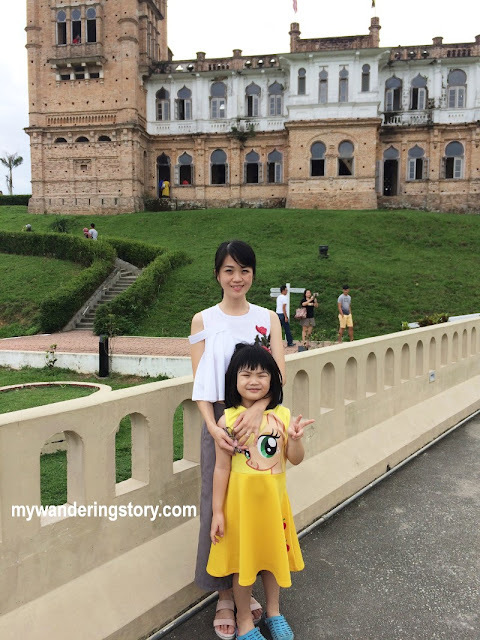 Believe it or not, I still felt the creep and horror about Kellie's Castle when typing its name on Google to get more information about this castle for this blog post. LOL.